Can duplex breakers be used for 240V? 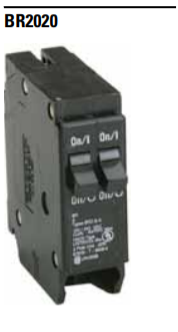 Eaton's duplex breakers can not be used for 240 volt applications. The reason for this is since a duplex breaker uses only one space, it is only using one phase of power. Therefore it only has a potential of 120 volts.